I've never gotten around to sharing my favorites of 2016 on this blog, but if you follow me on Snapchat then you know that my most used palette of 2016 is the tarte Rainforest of the Sea Eyeshadow Palette. 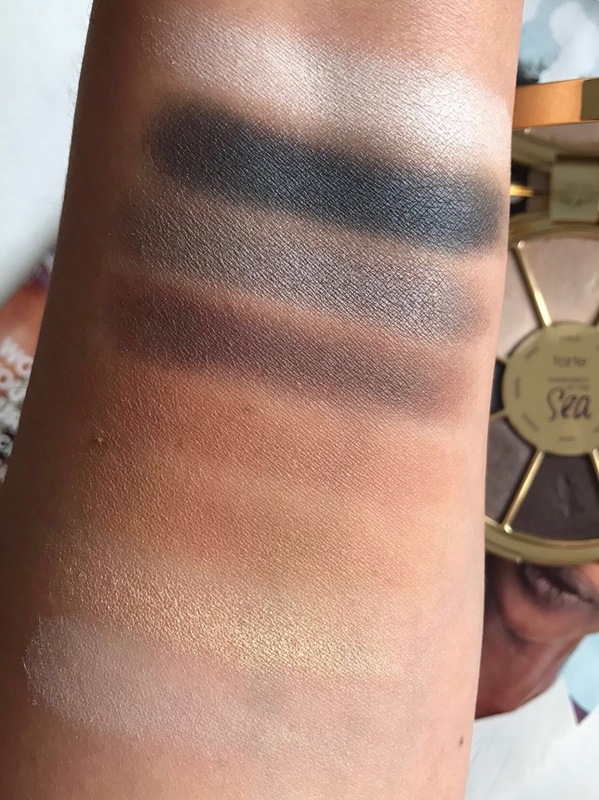 That's why I was really excited when tarte released the tarte Rainforest of the Sea Eyeshadow Palette Volume II. As much as I wanted to grab this baby up the minute that it launched, I did wait for a sale and was lucky enough to score this for $17.50 during the last tarte Family & Friends Sale. They had it on sale plus I got the 25% off and really got the best deal anywhere for it. The regular price of both of the tarte Rainforest of the Sea palettes is $36. 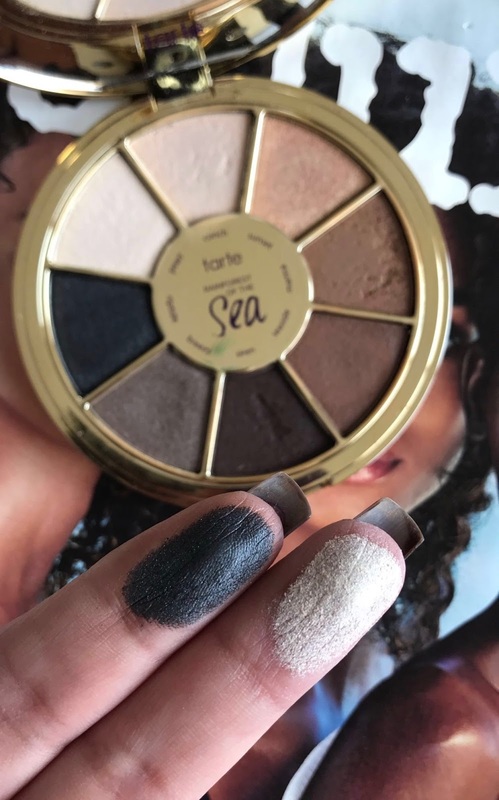 The tarte Rainforest of the Sea Eyeshadow Palette comes in the same super-cute round design as the original. As usual, tarte hit it out of the park when it comes to packaging. This 8-pan palette features the same formula of the original Rainforest of the Sea Palette, which is one of my favorite shadow formulas ever. This formula is not like a typical tarte shadow, which can be really soft and dusty, instead it's a creamy, dense consistency. To me this formula feels like the Makeup Forever shimmer eyeshadow formula, maybe not as nice but similar. When I first saw this palette online, I have to admit I did not immediately fall in love. The colors didn't look super exciting to me, especially the top three shades. But when the sale took place I decided it was still worth getting, especially at that amazing price. In person it's a different story, I actually awed when I first opened it and had to share it on Snapchat immediately. It's stunning in person and so much better than most photos lead one to believe. I've now had the palette for over a month and have used it quite a few times and definitely enjoy it a lot. 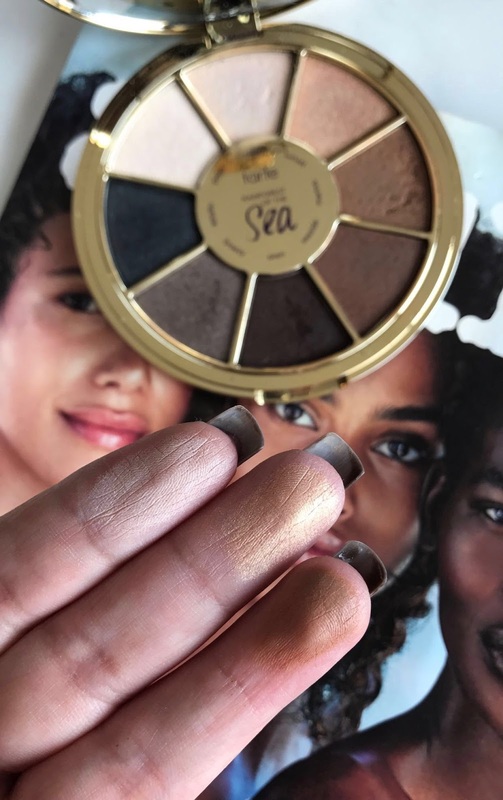 Do I love it more than the original tarte Rainforest of the Sea Eyeshadow Palette? I'm not sure! Probably not yet, but maybe with time. For sure though I love the formula of the shadows and it's become a palette I know I can grab any day for a quick and easy look. Conch: my least favorite shade in the palette. It's a matte light beige that is stiff and hard to pick up, in the swatches you can barely see it because the pigmentation is so low. Sunset: a very pretty metallic gold that has pretty good color payoff. Marina: a matte, medium brown with a yellow undertone. I like this shade as well as seaside a lot and feel they both bring some nice warmth to this palette. It is lacking a bit in pigmentation though so you do have to build it up some. Seaside: a medium brown with a satin finish that I really enjoy in this palette. Siren: a deep brown, matte shade with a hint of red undertone, this shade I love. It has great pigmentation and is a beautiful shade of brown. Breezy: my very favorite shade in the palette. This is a grayish-taupe shade that has a beautiful metallic finish. The formula is butter soft and the shade is very pigmented. Such a great shade! Riptide: my second favorite shade, this is a gray-blue-black-ish shade that has the same amazing formula as breezy and it's gorgeous. Pearl: this is a beautiful warm-white shade with a super creamy formula and a gorgeous sheen. 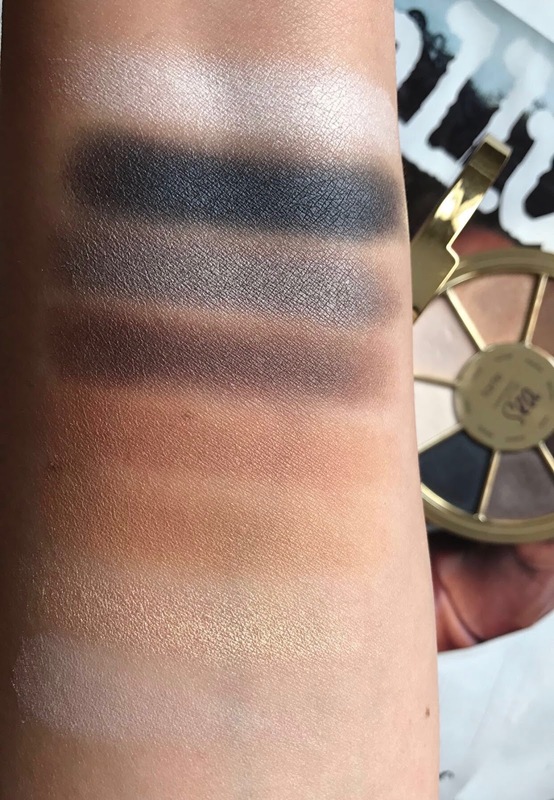 This shadow is so pigmented and gorgeous when the light hits it. It is definitely unexpected because it looks so unassuming in the pan. 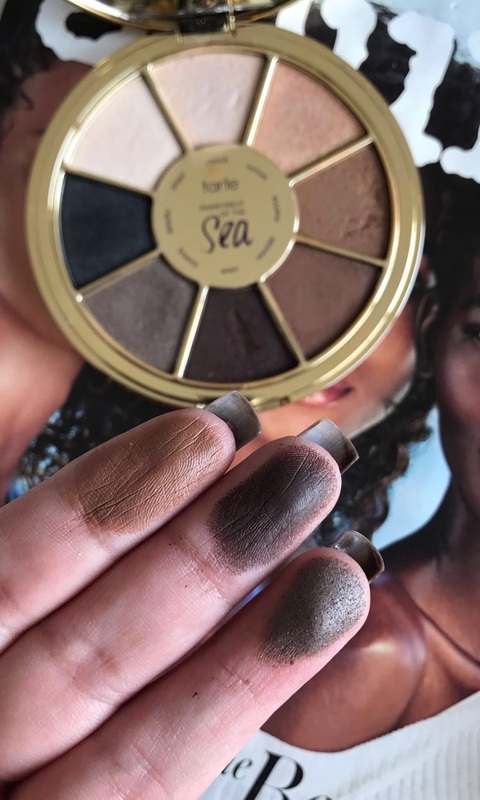 My personal favorites from the tarte Rainforest of the Sea Eyeshadow Palette Vol. II Eyeshadow palette are: riptide, breezy, siren & pearl. Overall, I am happy with this palette but probably still like the original tarte Rainforest of the Sea Eyeshadow Palette more. That palette is just such a go-to for me. I am also really excited about the third volume which is supposed to be available this Saturday on Sephora.com. 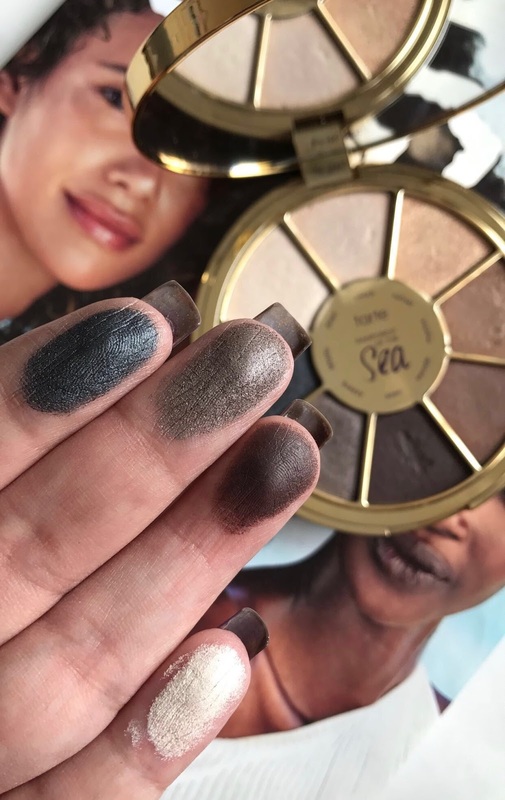 The Rainforest of the Sea shadow formula is my favorite Tarte formula and I can't wait for the new palette to arrive! Buy the tarte Rainforest of the Sea Eyeshadow Palette Vol. II at Sephora, Tarte.com and QVC where you can get the palette and a brush for $36 + shipping.